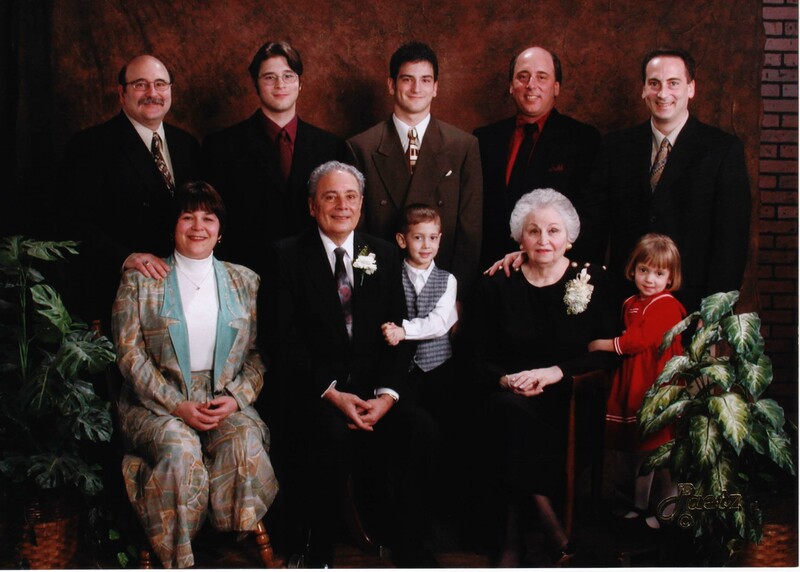 This is Joseph and Ann Quagliata with their children and grandchildren. The photo was taken in 2001 in Saginaw, Michigan on Joseph and Ann's 50th anniversary. Click the photo for a full size view. Anthony Quagliata (Joseph's son), Mark Quagliata (Joseph's son). Justin Quagliata (Mark's Son), Ann Quagliata (wed Joseph), Taylor Quagliata (Mark's daughter).